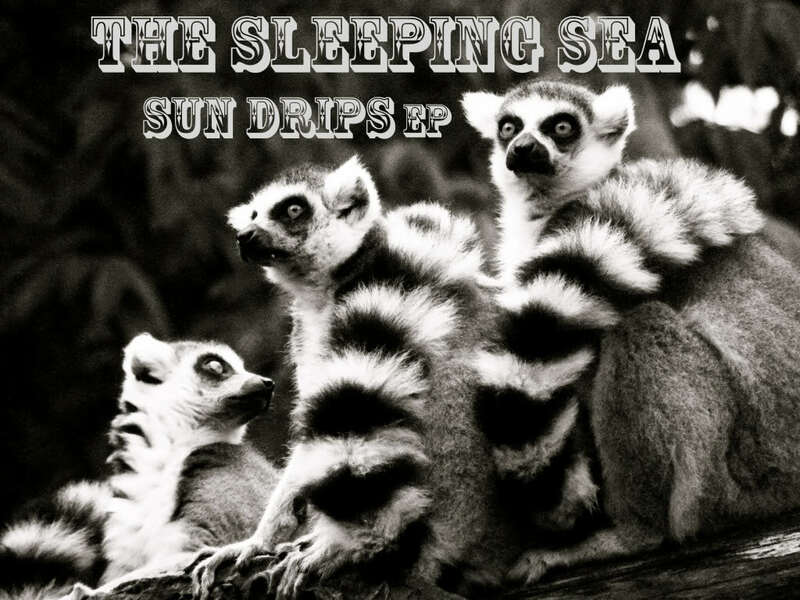 The Sleeping Sea is speaking, that is Jarrod Welling-Cann (voice, keyboard/guitar/vibraphones), Michael Abitz (percussion expert and vibraphones) and Andrew Walker (trombone/bass/xylophone). Inspiration comes from southern mozombique recordings (and other african tribal recordings), múm, Seabear, The Ruby Suns, El Guincho, Grizzly Bear, Peter Bjorn and John, Why?, Beach House, Shugo Tokumaru, The Concretes and many, many more… and Bad Panda loves them. Love them. Jarrod and Micheal are studying to become audio/visual engineers and they produce their music toying with a korg d1200, typical drum set, some plastic eggs with white rice trapped inside them, a typical guitar, a little bell piano they found at a thrift store, someones bass, and many somethings more in a basement (somewhere on the soil of Cincinnati Ohio). They also make laptop music in their freetime as well as short films. Ranging from a childish/electronic múm-esque music to a Prefuse 73/Blockhead hip-hop track. Michael makes music under Quince Vetivert and Jarrod under Sailboats and Bubbles. Plus, they compiled alot of old, new and unfinished music by creating Ghost In the Piano Room, which became their “alter-ego”. Between purple and elephants and/or Cincinnati, Ohio. 13 Moons / Spirited Away. Remind Me by The Motifs (or any song by múm). We thoroughly enjoyed experiencing and meeting Doseone (of anticon) at a Subtle/TV On The Radio show in columbus, however a recent WHY? concert was a near life experience as well. Ocean. Deep and mysterious ocean. One thing you’re proud of?